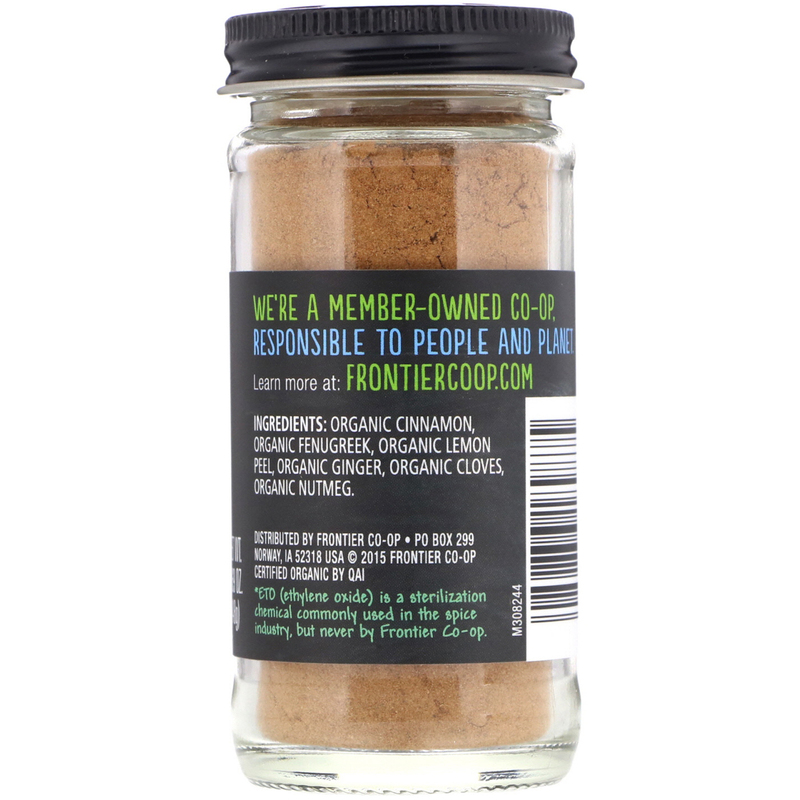 ETO (ethylene oxide) is a sterilization chemical commonly used in the spice industry, but never by Frontier Co-op. Add to puddings, fruit crisps, cobblers or cakes. Add to puddings (especially tapioca and rice) and custards. Include in any fruit dish--pies, fruit crisps, compotes, and cobblers. Add to batter for cookies, cakes, quick breads, muffins, cinnamon rolls. Add to granola or muesli recipes. Add to batter for waffles and pancakes. Use in place of cinnamon when making cinnamon toast. 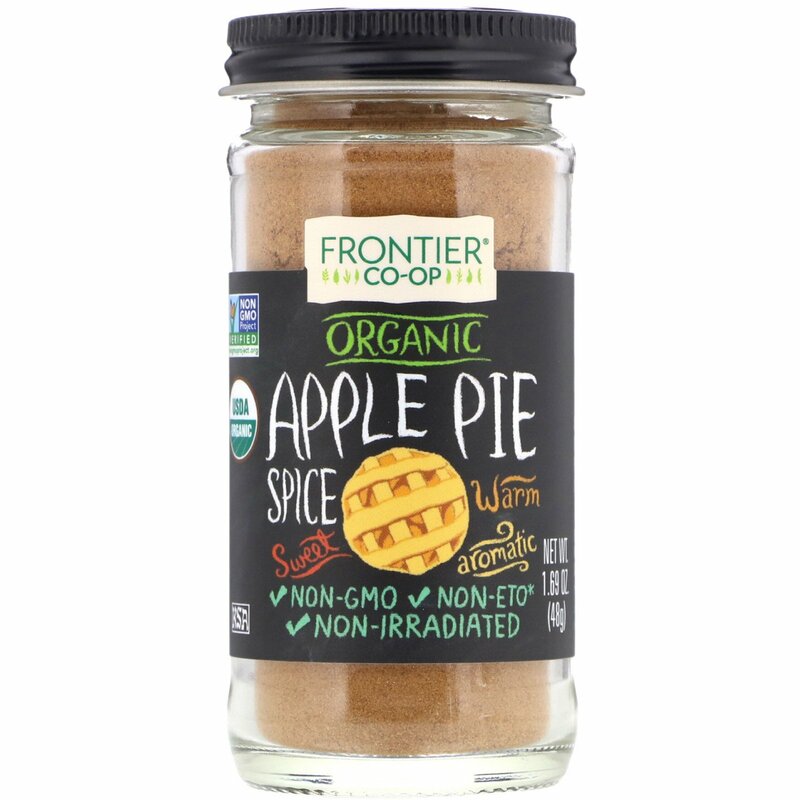 For a special treat, try adding Apple Pie & Dessert Spice to the egg batter for French toast, or combine it with powdered sugar for sprinkling over the French toast before serving.